But tucked away in the middle of all these big resorts is a hidden gem. Often referred to as the best kept secret in the French Alps and ‘the jewel in the crown of the Tarentaise’, here are 5 reasons why we love Sainte Foy Tarentaise as a place to ski. In the main ski area there are extensive, easily accessible powder fields which are perfect for learning to appreciate the joys of off-piste skiing. Sainte Foy is also famous for the fantastic off-piste routes, we love to get off the beaten track there! 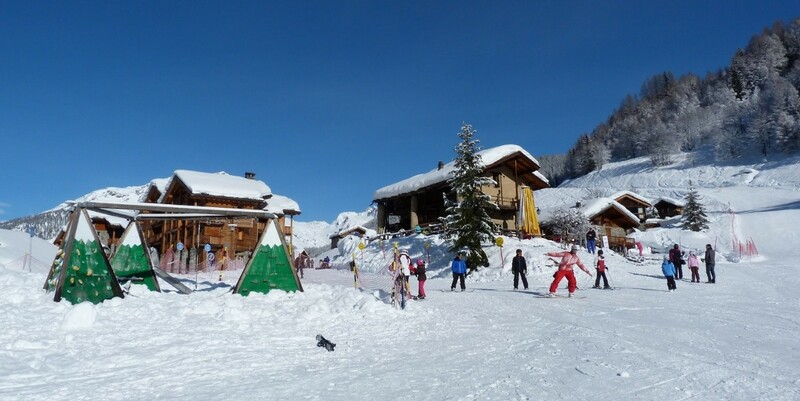 Our favourite is Col Granier which starts at the top of the Marquise lift and ends in the traditional Alpine hamlet of La Masure from where the shuttle bus whisks you back to the resort. Sainte Foy may be smaller than its better-known neighbours, but it offers plenty of terrain for all ability levels and disciplines. And it’s rarely crowded, even in peak weeks. Beginners appreciate the wide, sunny, quiet blue pistes which are ideal for those just getting acquainted with the joys of skiing or boarding. Intermediates can have fun whizzing down the red runs that snake between the trees from the bowl above, whilst the more advanced can get their thrills on the steep black runs at the top of the resort. A personal favourite is cruising down the blue run from the top of the Marquise lift for a vin chaud at the Marquises restaurant at the bottom. For those in need of tuition or guiding, there’s a wealth of experienced professionals in Sainte Foy just itching to share their expertise with you. Beginners and early intermediates will have most fun learning in a group class with the ESF or Snocool. You can learn as much from others’ mistakes as your own, whilst having a good giggle at the same time. 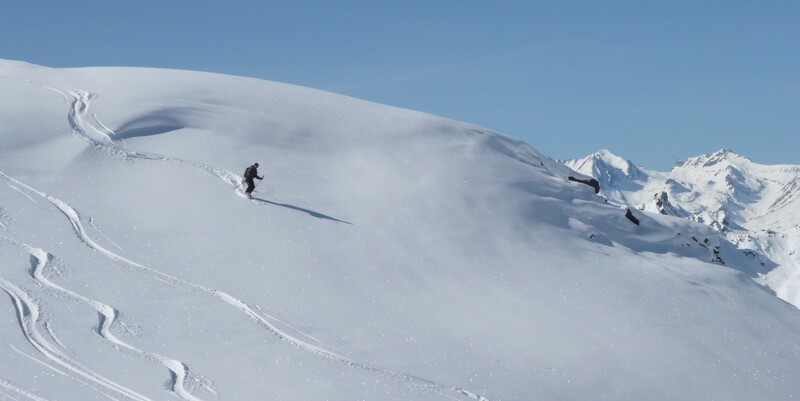 Powder hounds will want to hire one of the excellent local guides to share some of their secret spots for the best untracked powder at Sainte Foy. Check out our yoga poses for skiing to stretch out those muscles after a day out on the slopes! There are some great little bars and restaurants in which to recharge your energy during the day. We’ve already mentioned the Marquises, which does great food as well as vin chaud, and has stunning views down the valley. 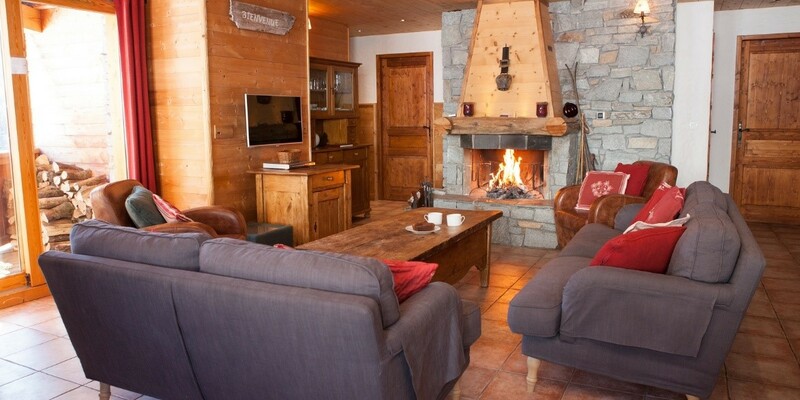 We also love Les Brevettes at the mid-station, a converted Alpine farming chalet with a wood-burner that makes it really cosy on a cold day. We love their omelettes served straight from the frying pan with some fresh salad on the side. Sainte Foy resort is built up around the traditional Alpine farming chalets that originally had the site to themselves. It is designed to recreate a typical alpine village. The chalets that nestle amongst the trees in their southwest-facing bowl are all built in traditional style, with pitched roofs and wooden balconies, using local stone and wood. A refreshing change from the concrete jungles found in some larger resorts. The standard of accommodation is a cut above that found in most other resorts too. As at our Frontline Collection of luxury slope side apartments, you can expect your holiday home to have squashy sofas on which to curl up in front of the beautiful stone fireplace, a traditional wood dining table for convivial dinners, comfortable beds with pure cotton sheets, and modern bathrooms with huge fluffy towels. All apartments have Wi-fi, and some even have a sauna or hot-tub to soother those aching muscles. Sainte Foy certainly lives up to the old adage that the best things come in small packages. There’s nowhere else we’d rather ski. 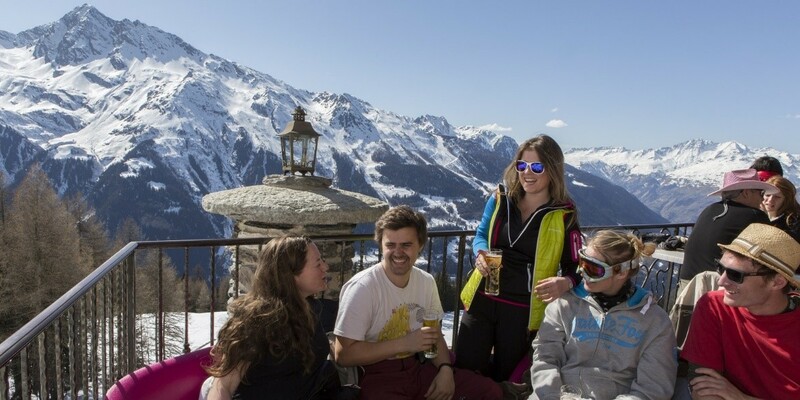 AdventureYogi team up with our wonderful friends at the Auberge sur la Montagne to run our Snowsports and Yoga Holidays, there is quite simply no-one else we would prefer to ski with! Join us in January and March for four weeks of fun in the French Alps!